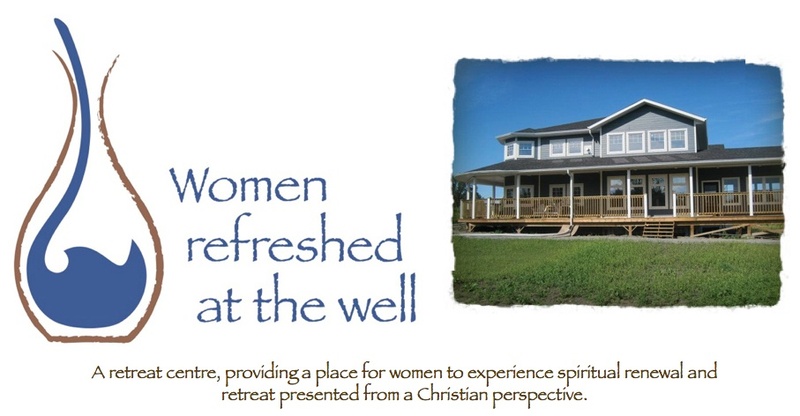 Women Refreshed at the Well: Land purchase! The other day when our son Josh gave us a little pep talk and said, “if you are going to do it, you have to just DO IT” I told him it would be really hard, and tear-filled when it came time to move away from the place that we have called home for the better half of our lives! He agreed! Funny thing is it seems like THIS IS THE TIME. For the past year when God kept saying with even more urgency “GET THE BALL ROLLING! !” It seems that within the past year, many people have asked me, and told me that for some reason, God had laid WRATW on their heart. People are praying, telling me of dreams and visions they have been given in regards to it. While it has been “simmering on the back burner” over the past few years, now it seemed that God was turning up the heat! So it was, with a combination of anxiousness and excitement (actually great excitement) that on the morning of March 18th – Dave (real estate agent) came to where Alvin was working, to write up an offer to purchase. I have to say that we fully expected to have to respond to a counter offer. We were praying about it. If this was the time – God would make that clear. We had no doubt about that. So, would this be the land that would become the future place of our home and Women Refreshed at the Well? David was one guy who I had shared the Vision with back in 2001 and I will never forget him praying for WRATW in Perkins that morning years ago. He was going to share the Vision with the people who owned the land. Only God knew what would happen. We trusted Him for the best answer. Later that day, while I was having supper with my daughter and son-in-law – my cell phone rang. I recognized the caller, even though it said “BLOCKED ID” on the call display. I knew it was David, our real estate agent. My heart picked up a few beats. My thoughts were, well here goes, we will have to give a counter offer. Oh my ~ God, you have decided that this is the time, this is the place~ I was wonderfully caught off guard! 7 years ago David and I had talked about the Vision and now ~ he was telling me that we have just bought some land! I am sure that my smile was a foot wide! I think both Alvin and I were shocked, as were our kids. (Isn’t that so like God to shock and surprise us!) Shocked, surprised, excited. Thankful!! God, I am so thankful. We are one step closer to the vision that God entrusted to my heart many years ago. The ball is rolling! I want to say again – this is not my Vision. This is HIS vision laid on my heart…. I am just the conduit…. the clay vessel that He is using to bring this about. God give both wisdom and strength to follow on. Oh that He would find me faithful! I think we all are!! Location of the land: about 13 kms from Henderson Hwy and the perimeter. Travel NORTH on Henderson and you will come to the community of NAROL. We own almost 19 acres right beside (to the NORTH of) Corpus Christi Catholic Church. We are on the EAST side of Henderson Hwy. (not the river side). Not sure what our number is, but the Catholic Church is 5819 Henderson. Go and check out the location!